Yanado referral program is designed to help earn free users and help us spread the word about our product. The idea was to create a win-win situation for both our customers and us. In order to gain free users, invite 5 referrals and to install Yanado. Only referrals that have installed Yanado can be claimed. 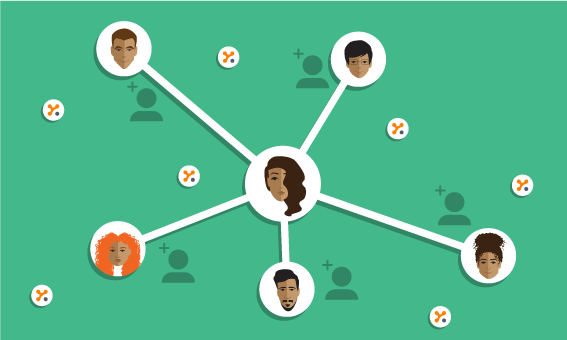 Referrals can be friends, colleagues, partners, freelancers, or anyone that could benefit from learning about Yanado. To reach a win-win situation for everyone, we had to introduce a few rules. You cannot use current Yanado users as referrals. If there is user you want to invite as referral installed Yanado in the past, they cannot be your referral. In the footer of the Yanado extension and web application, click “Get Free Users”. Next, dialog box with two tabs will appear. On the first tab, enter email addresses for the people you would like to invite. You can invite as many as you would like. Next, specify whether you want to send invites as yourself or as Yanado. We have found that referrals sent from users have a higher chance of acceptance, and may land in your invitee’s priority inbox instead of a promotional filter. 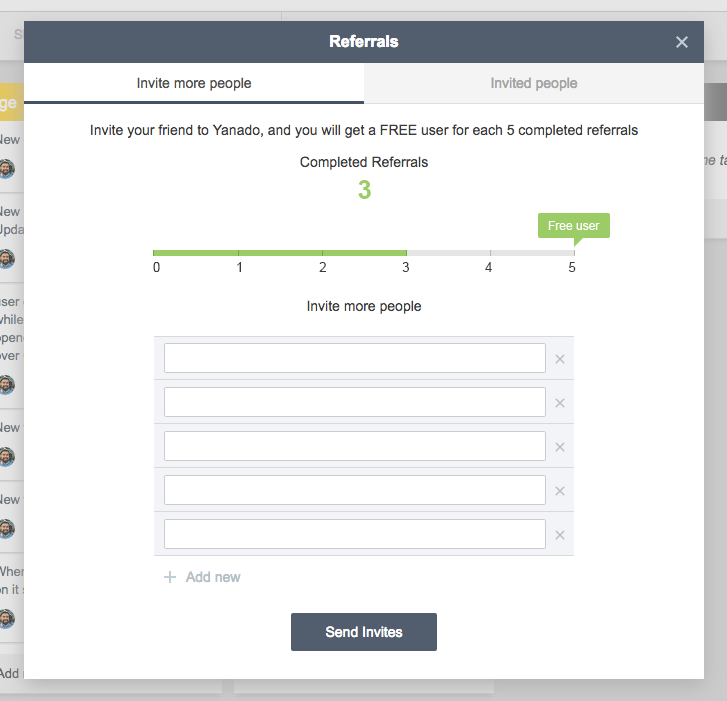 Once invite referral emails are sent, you will be able to track which contacts installed Yanado by clicking on the second tab. You will be able to see who has not installed Yanado and you have the ability to send a reminder email. Share this post and tell your friends about Yanado referral program!